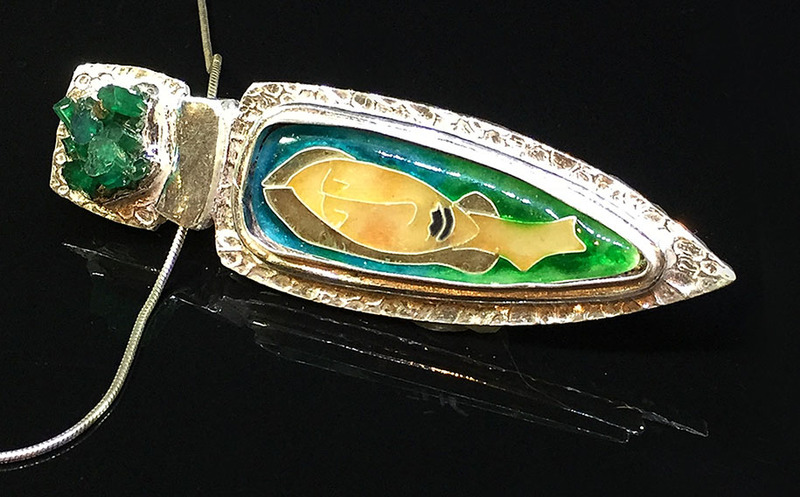 Lorrene Baum-Davis' mother instilled in her a love of jewelry, the ceramic arts, and her father introduced her to the ferrous metals by teaching her to weld and use a lathe at a young age. 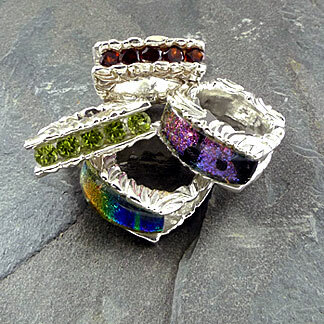 Because of them, she has a great love of the metals, fused glass, and clays. These media draw her into working with them because of their malleability and their permanence. 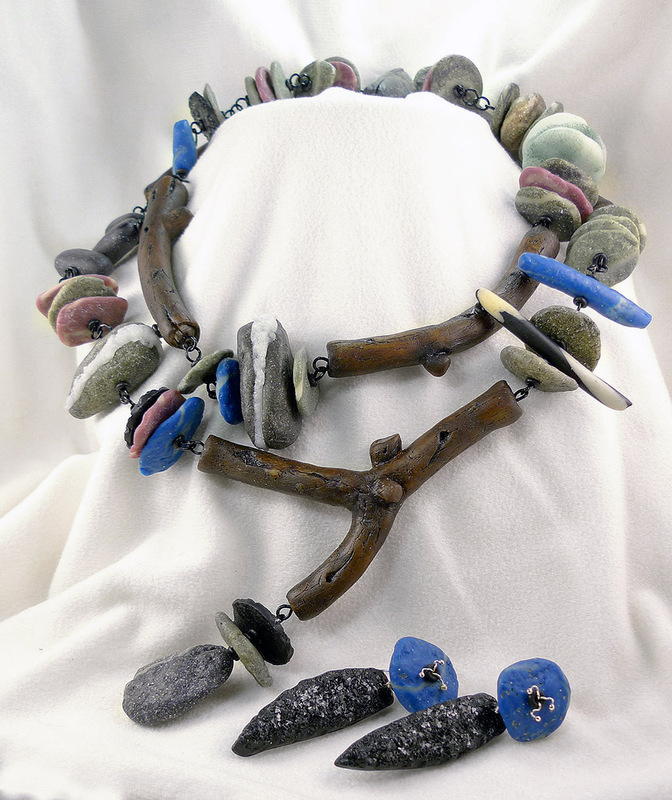 The clays, Art Clay and Polymer, enable her to produce organic forms with great textures and colors. The fused glass enables Baum-Davis to bring startling colors in to the meld. 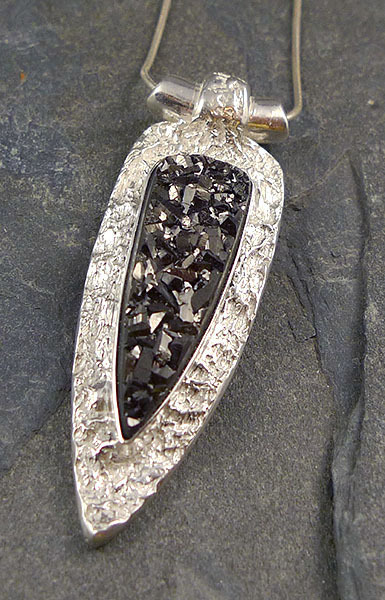 She is also getting back into her metalsmithing history and exploring the enameling arts. 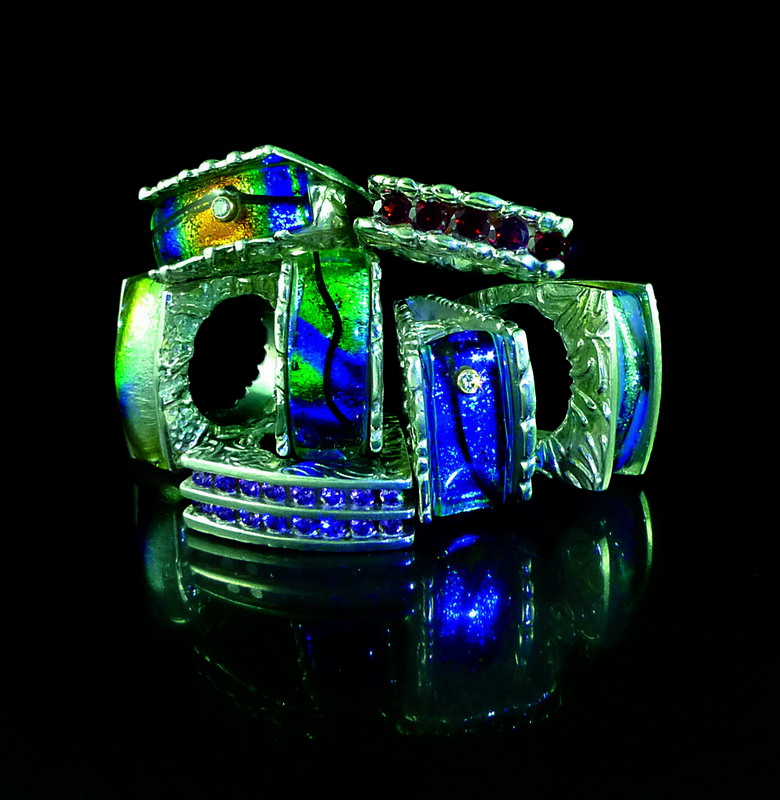 She graduated from the Revere Academy of Jewelry Arts in San Francisco and has been on their faculty. Lorrene is a Master Instructor emeritus with Art Clay World USA. She is now retired from teaching, but she has traveled the U.S. to teach art workshops, as well as teaching many at her Sierra Foothills Studio in Placerville, California. 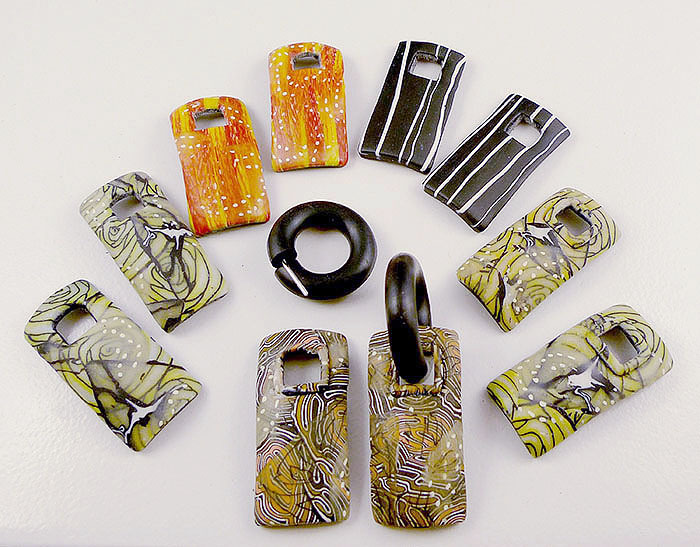 With the clays as her art medium, she is able to have the work flow organically as well as geometrically. 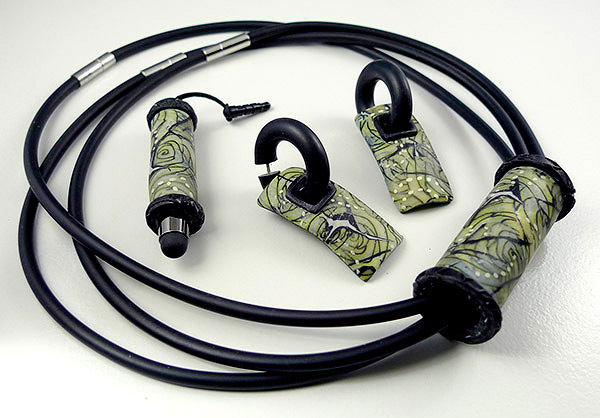 These media allow this artist to continue to create one-of-a-kind pieces of wearable art. 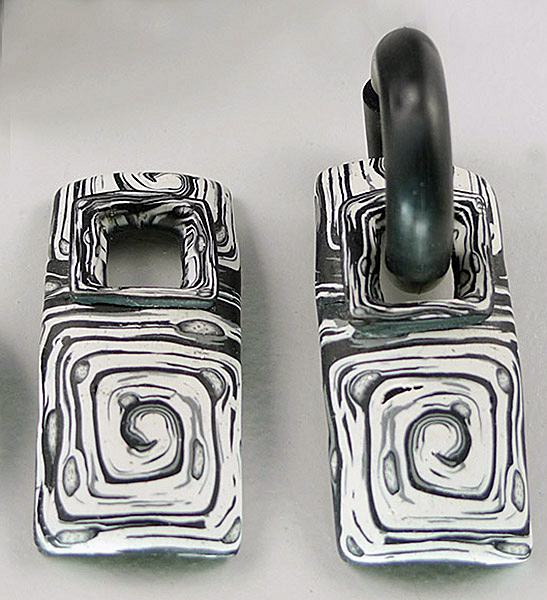 In 2007 Baum-Davis wrote an instruction book Setting Gemstones in Metal Clay. Also, she has written tutorial articles in Lapidary Journal, PolymerCAFE' and has written two step-by-step chapters for the book Color in Metal Clay. In addition, Lorrene was a featured speaker, teacher and demonstrator at the MCWC (The Metal Clay World Conferences) in the August 2007 conference in Las Vegas, the 2009 & 2011 MCWC outside Chicago, and she has won numerous awards, three of which were won in 2011. Two of her many awards were by the California State Fair Fine Arts division. See www.LorreneBaumDavisDesigns.com for art images and a sometimes blog.